I really hope Martin Van Ruin isn't a one-offside project. Comprised of members from Chicago heavyweights like Jenny Dragon, Planetsploder, and Derek Nelson & the Musicians, there's a lot to keep the band busy. But Every Man a King is a rare gem of an album. It has a presence that few bands achieve. 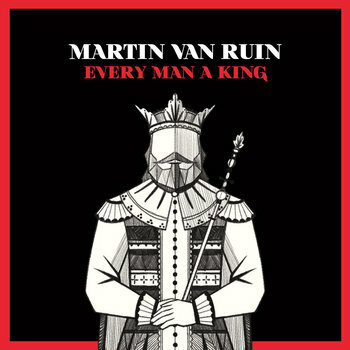 From the Springsteen-esque "Someone Tried to Warn Me" to the truly epic roots rock of "Gold and Love and Gin," Martin Van Ruin knows how to create a big sound. The band never trips over itself, though. This is Important Music with Big Ideas and an earnest delivery, but it never comes off as pretentious. Every Man a King spans the range of folk music, but it hits the right note each time. This is a scarily competent band. My expectations for their next release are already high.